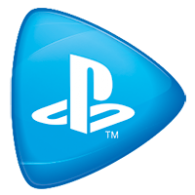 PlayStation Now and it’s library of over 600 games is now available in Italy, Spain, Portugal, Finland, Sweden, Denmark and Norway as of today. PS4 and PC owners can subscribe to PS Now and stream PS2, PS3 and PS4 games at the tap of a button. PlayStation Now has been updated with new games for March 2019. This month’s update includes a number of PS3 favourites, including Metal Gear Solid 4: Guns of the Patriots and Mirror’s Edge. PlayStation Now access will be expanding in Europe, Sony has revealed. Previously only available to a handful of countries including the UK, Ireland, France, and Belgium, the service will soon be available to gamers in Spain, Italy, Portugal, Norway, Denmark, Finland and Sweden. Sony has some good news for PlayStation Now subscribers – a massive 50 games are being added to the library this month, including For Honor, Raiden V: Director’s Cut, and more. The new additions mean PS Now’s library features over 600 titles to play at the click of a button. Sony has announced that PlayStation Now users will be able to download games to their PS4, on top of being able to stream them over the internet. The feature is gradually rolling out to users starting today, and will be available to all users soon. One of the advantages of downloading a PlayStation Now title is that you don’t need PlayStation Plus to play online. A rumour is currently doing the rounds suggesting that PlayStation Now will allow it’s on-demand games to be downloaded and played offline. An industry source was able to confirm to Kotaku UK that the functionality is due to roll out in late September this year. Sony is continuing to expand the PlayStation Now library in Europe, adding a further nineteen PS4 games for you to stream for £12.99/€16.99 per month. The new games include Fat Princess Adventures, Tiny Troopers Joint Ops and The Swapper. Check out the full list of new games below. Sony has updated the PlayStation Now game streaming service with a selection of games from Disney. Seventeen new games have been added, including Disney Universe, LEGO Pirates of the Caribbean and TRON: Evolution. If you’re not a PS Now subscriber, you can sign-up for a seven day trial. Sony has added fifteen new family friendly games to the PlayStation Now library in Europe, which includes How to Train Your Dragon 2, Sonic Adventure 2 and Ibb & Obb. The complete list of new titles can be found below, and are included in the PlayStation Now subscription. Sony has announced that PlayStation Now will soon be streaming PS4 games, adding to the huge collection of over 480 PS4 games currently available on the service. This news follows the recent announcement that PlayStation Now will be dropping support for most devices, except PC and PS4.